Over twenty-five years ago I fell in love with the mountains while going on monthly camping trips with the Scouts. After living in Yosemite for seven years and climbing as much as work would let me, I moved on to guiding in the larger mountain ranges around the world. Over a dozen years of guiding I’ve been lucky to go to some of the most amazing places on this small planet. 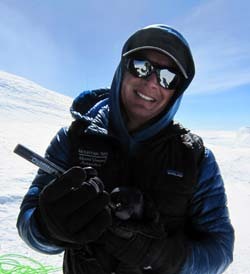 Guiding has enabled me to climb each of the Seven Summits and I’ve had the opportunity to lead over 70 expeditions to peaks higher than 6,000 meters, including 18 trips up Denali with Mountain Trip. I enjoy expeditions on big mountain because of the logistics and team work it takes to have a fun safe summit. Hope to see you in the mountains!